Apart from using it for your personal purposes, you can gift these cameras to your friends, loved ones, colleagues, etc. Then, you will surprise to see how the digital copy instantly converted to physical copies in your hand. For making the best buying decision, take a look at the below instant cameras. The Instax Mini 9 camera from FujiFilm is commendable for its macro lens and instant photo capturing abilities. 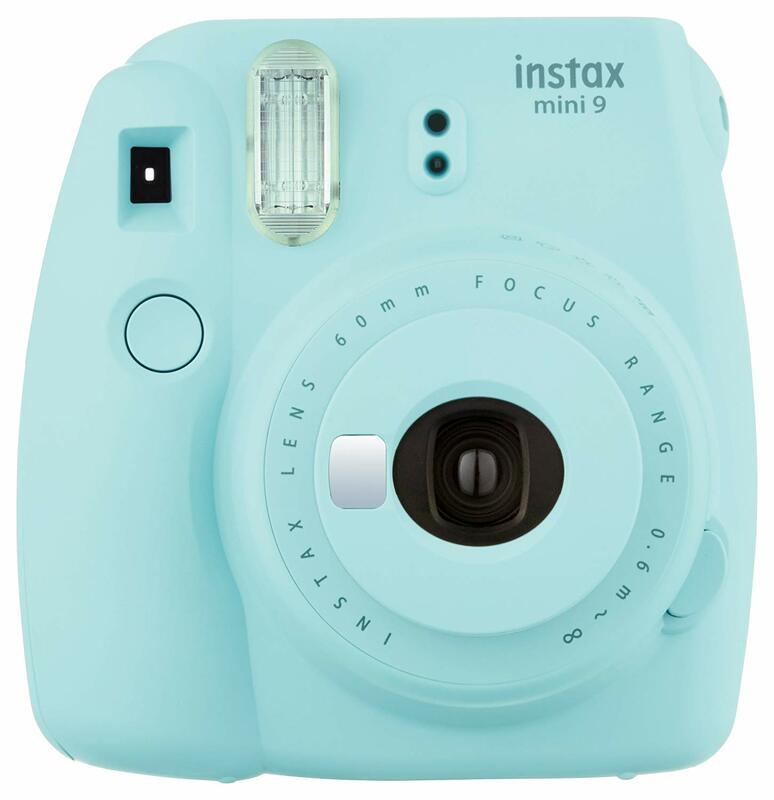 Also, one of the appealing traits of these Ice Blue instant camera is there is the presence of viewfinder functionality. Therefore, it is easy to capture the images with the target spots. In addition, to the normal image capturing, you can capture stunning selfies too. These instant cameras come with the automatic exposure measurement. Using this functionality, the camera signals the suggested aperture setting through a flashing LED. In this way, it is easy to capture the impeccable photo all the times. Besides, the focusing is wide and the range is 0.6m – ∞, therefore, you can focus the scene in your preferred manner. Working operation of the Instax Mini9 camera requires two AA batteries. The viewfinder works at 0.37x, with target spot. In the camera, the shutter speed is 1/60 sec. There is the presence of new macro lens adapter for close-ups – 35cm to 50cm. The camera is capable to automatically decide the finest brightness for capturing a picture. Also, once the decision made, the camera informs you of the recommended setting. When you set the brightness adjustment dial to the high-key mode mark, you would be able to capture snaps with a softer impression. The close-up shooting up to 35 cm away is quite easy. According to customer reviews, these FujiFilm instant cameras are capable to capture picturesque images instantly. There may be some issues with the lighting. Overall, the camera unit works reliably. Now you can capture, print, share on the go with the use of the Polaroid snap instant digital camera. Basically, these white colored snap digital cameras are competent to capture scenes in desired focal length as per your need. Likewise, the camera unit offered in a compact package and it is capable to capture superior quality photos without any hassles. If needed, you can easily share the captured images among your friends, colleagues or anybody. What is more, it is possible to instantly share the lifelike picture using the 10MP sensor. You can attain capture details through the use of the powerful 10-megapixel sensor. If the need arises, you can insert a microSD card (up to 32GB max) in order to expand the memory. There are no hassles to load your zink paper and print instantly. There is the availability of different capture modes and photo booth mode. 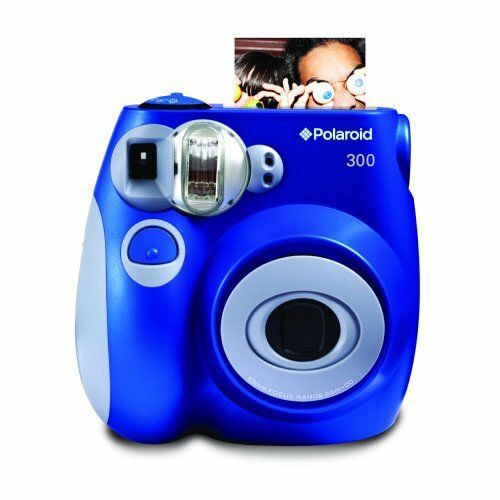 These Polaroid instant cameras come with an instant selfie self-timer and the Polaroid Classic Border Logo printing format. Implementation of the zink printing technology allows you to quickly print full-color prints of size 2×3 inches automatically once an image captured. There is the absence of ribbons, ink or toner cartridges. It allows you to effortlessly take print out and share the same through the push of a button. There are few customers who mentioned that there is the absence of user guide. Except for that, everything works fine and image quality is great. Whenever and wherever you want, now you can get perfectly lit shots irrespective of the surrounding environment. In addition, designed in a compact structure, these instant cameras from LomoInstant instantly capture images and transfer the same to digital copies. Furthermore, this camera blends the automatic settings using a wide range of creative features. The Lomo’Instant Automat presented in many different stunning designs, so you can choose the one according to your preference. Also, with the use of multiple exposures functionality, users can combine different shots in a single frame. Hence, this helps to present show-stopping effects. 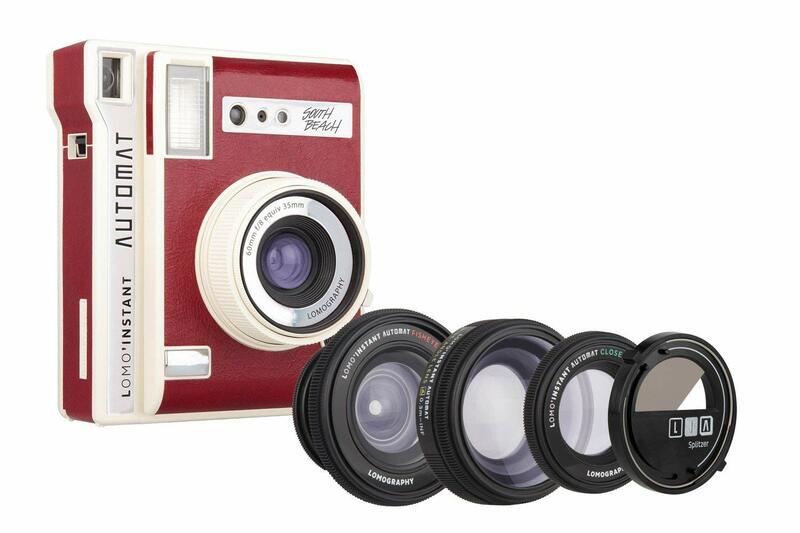 The Automat South Beach comes with close-up lens attachment, wide-angle lens attachment, and fisheye lens attachment. To capture images perfectly, there are two shooting modes and a fully automatic shutter. Important functionalities include the exposure compensation control and automatic electronic flash. There is the availability of four lens -built-in lens, wide-angle lens, fisheye lens, and close-up lens. Glancing at the reviews of customers, these instant cameras are elegant in design and highly efficient. Thus, they are capable to capture scenes with a different lens. Presented in the circular shape, the INSTAX 210 camera presents stunning, high-quality prints instantly. In addition, its unique design and easy-to-hold side grip allow you to hold the camera unit with style. Unparalleled performance guaranteed with the use of auto-adjusting flash, high-resolution retracting lens, and large clear viewfinder. Also, the professional design and use of excellent functionalities would make your investment worthy. Especially, one of the greatest benefits of this INSTAX 210 instant cameras is the pictures are large and clear. Therefore, the execution of the latest printing technology allows the camera to print decent quality images quickly. The Instant wide photo camera equipped with a CD control panel depicting focal distance and film count. There is the presence of programmed electronic shutter with 1/64-1/200 sec. For low-light shooting, the automatic flash works well. There are two-range shooting options i.e. 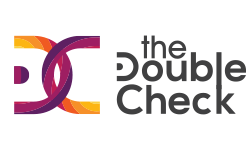 0.9-3m and 3m-Infinity. Images would printe in the 4.25 x 3.4″ / 108 x 86mm size. With the use of the LCD control panel, you can easily know the details of the focal distance and film count. 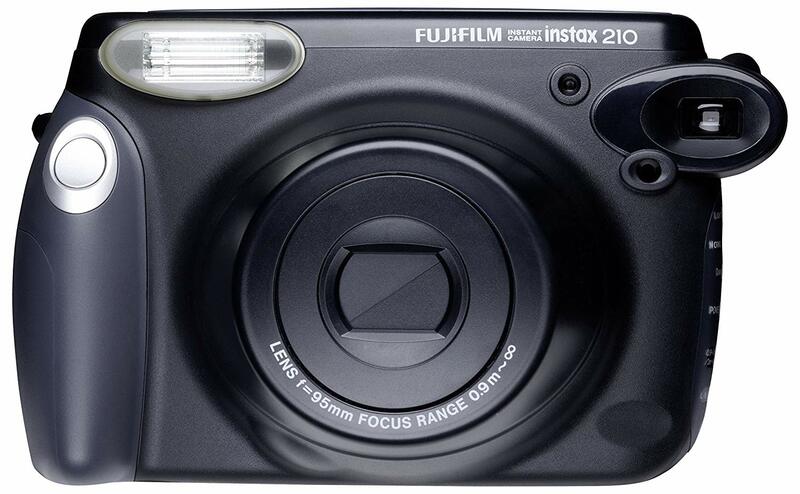 The customers who already used these INSTAX 210 instant cameras praised the build quality and excellent print output. Also, it is quite easy to carry the camera in your purse or bag. InstantFlex TL70 is actually the first twin lens instant camera in the world which comes with an extensive range of apertures as well as the closest focusing distance. Moreover, the camera unit is capable to combine the sophisticated aesthetics and contemporary functionalities. This made possible with the use of six advanced features. The TL70 instant cameras enable the user to capture pictures in different lighting conditions. Thus, with the use of a built-in electric flash, the camera lets you unleash your creativity. The TL70 camera uses different apertures like f/5.6, f/8, f/16, f/22, and f/bokeh. In the construction of the camera, there is the use of aspherical lenses with f=61 mm. These InstantFlex instant cameras are compatible with every Fujifilm Instax Mini film. In the camera, the focusing distance is 48cm to infinity. The range of shutter speed is from 1/500 to 1 sec (when used in A mode), and maximum 10 secs (when used in B mode – slow shutter). There is the presence of electric flash with automatic light emission exposure control. It comes with the EV compensation control and manual aperture control. Customers pleased with the vivid focusing screen and the built-in flash. All the included functionalities assist them to capture lifelike images. In addition, there are few users who mentioned that the landscape shooting is impractical. The bottom line is these cameras present throwback design and excellent image capturing abilities at an affordable price. Presented in the blue color, the instant film camera would look classic and professional. Also, the Polaroid PIC-300 camera enables the user to capture pictures you perceive developed in front of your eyes. Within a few minutes, the contemporary instant film camera assists to capture the scenes instantly. For marriage, birthday, anniversary, or other big events this camera work proficiently. Moreover, the results are quick and you can instantly share the output images. The PIC-300 instant cameras prints pictures approximately the size of a business card. At the output, you would see a print of size 1.8 inches x 2.4 inches. In absence of printer and ink, the Polaroid PoGo Zink Photo Paper generates superior quality, prints and they are of type full-color glossy. The paper showcases billions of tiny dye crystals included inside the Zink Paper. These crystals triggered through accurate heat pulses via the thermal print head. With the proper use of the four scene settings, you can capture the perfect shot irrespective of the lighting conditions. High compatibility of these instant cameras allows easy functioning with Polaroid 300 Instant Film and PIF-300 Instant Film. There is the presence of 1/60 sec electronic shutter. If the camera does not use for five minutes when the power turned on, every lamp would automatically turn off. Ultimately, the camera would enable in an energy saving state to save the energy. In the box, you get a wrist strap and four AA batteries. According to the customer reviews, the Polaroid PIC-300 camera works perfectly in any lighting conditions. Also, you need to get familiar with the functioning and settings to appropriately capture the images. In the digital cameras, the typical issue found is the camera is incapable to capture both the subject and the background appropriately. The Fujifilm Instax mini 70 cameras equipped with an Automatic Exposure Control. Likewise, this functionality is capable to capture both the subject and the background in magnificent clarity. In the output photos, you would see a natural brightness while you are shooting indoors during an occasion. Overall, the size of these film cameras allows you to carry for different occasions like wedding, birthday, anniversary, parties, etc. Moreover, you can carry it along for your travel trips to instantly capture any scenes. With the use of the ‘Self-timer’ mode of these instant cameras, it is quite easy to capture group shots keeping you in the center of attention. According to your needs, you can set this mode for capturing multiple shots. Ultimately, the camera would be able to automatically capture a second image after the completion of the first one. Generally, the Instax Mini 70 is excellent for copies, fun photos and photo booths. What is more, the advanced and streamlined design helps you hold the camera with style. There is the availability of Selfie mode along with built-in selfie mirror to satisfy your selfie capturing needs. Hence, now you do not have to worry about how to capture snaps in dark scenes. You can easily brighten up your subject and can subsequently capture stunning skin tones using the Hi-Key mode. For a close-up, you can utilize the macro mode to attain clear sharp photos within a minimum distance of 30 to 60 centimeter from your subject. This mode is highly useful for flowers, pets, and portraits. The built-in automatic flash lets you capture the scene with a flashlight. There is the availability of the Selfie mode intended to offer proper brightness and shooting distance for capturing self-portraits. 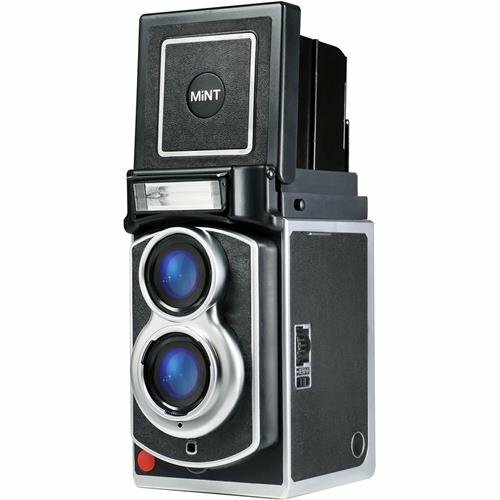 Besides, with the use of the automatic exposure control feature, these Mini70 instant cameras can capture vivid backgrounds and bright subjects in dark scenes. 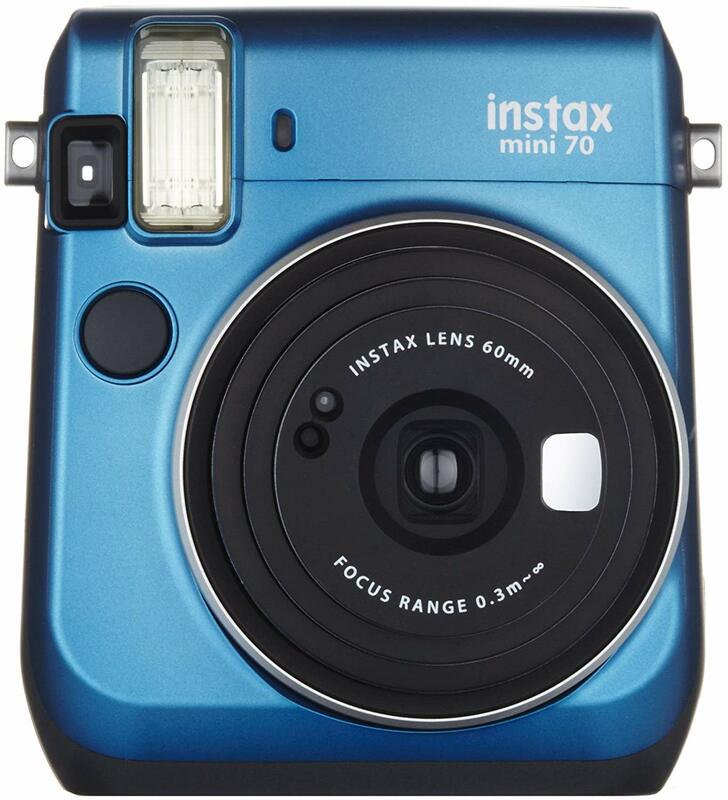 In these Instax Mini 70 cameras, the sleek design and lots of functionalities are praiseworthy aspects according to customer reviews. Also, they pleased to capture snaps in different lighting conditions without compromising the quality. 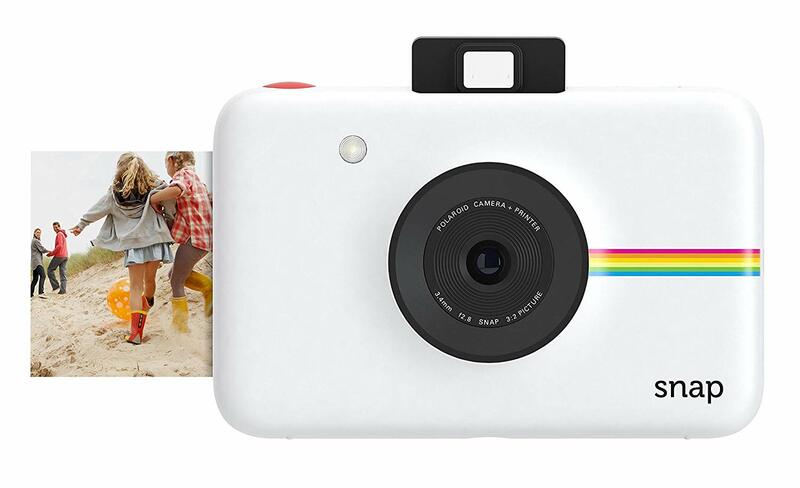 Basically, the Polaroid Originals OneStep camera is a point-and-shoot analog instant camera. Likewise, the functioning is identical to that of the Polaroid OneStep 2. In addition, the instant camera comes with lots of fun features. You are able to shoot with the light irrespective of outside lighting. Moreover, there would be more lights in the captured shot and you can use the flash for capturing indoor photos. One of the unique traits of these cameras is they can function with every Polaroid Originals 600 and i-Type film. Hence, there would be fun to capture your preferred shots. There are few cameras equipped with the Bluetooth connectivity; this model of cameras uses Bluetooth. Furthermore, this helps them to easily connect to the Polaroid Originals app. In this way, it is simple to explore imaginative features. Besides, there is a special lens for portrait. With the use of the Bluetooth-connected app, these cameras offer many benefits. These include a full manual control, double exposure, noise trigger, light painting and many more. It is quite simple to make the transition between two lenses –standard lens and portrait lenses. With the use of portrait lens, you are able to capture a photo from 1ft to 3ft. On the other hand, the standard lens allows you to capture photos from 3ft to infinity. High compatibility allows the camera to work with i-Type and 600 films, Android and iOS devices. To help you on the go, the camera packs in lithium-ion battery, 1100mAh, 3.7V, 4.07Wh. In the shutter system, there is the use of a precision step motor. 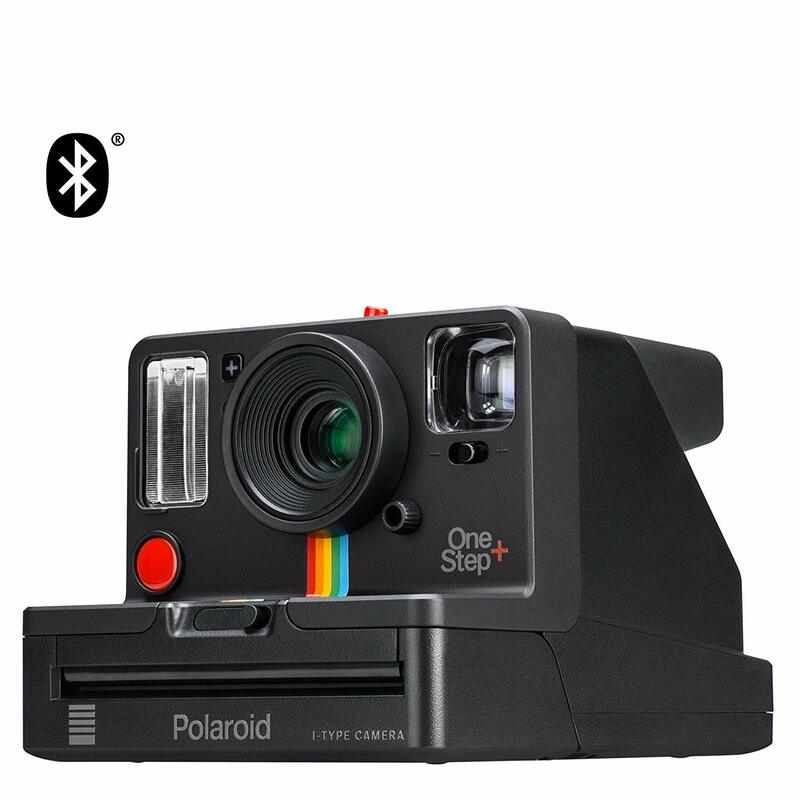 Glancing at the reviews of the Polaroid Originals OneStep+, customers facilitated with different settings to capture perfectly. However, there are some complaints regarding the poor connectivity of the built-in app. This is not a major downside and the overall working is superb. Remove the hassles regarding ways to record memories at occasions, parties, wedding, etc. the Fujifilm INSTAX Wide 300 camera dedicated to working well in many situations. The wide format photography would be fun when you wish to capture snaps with people around. 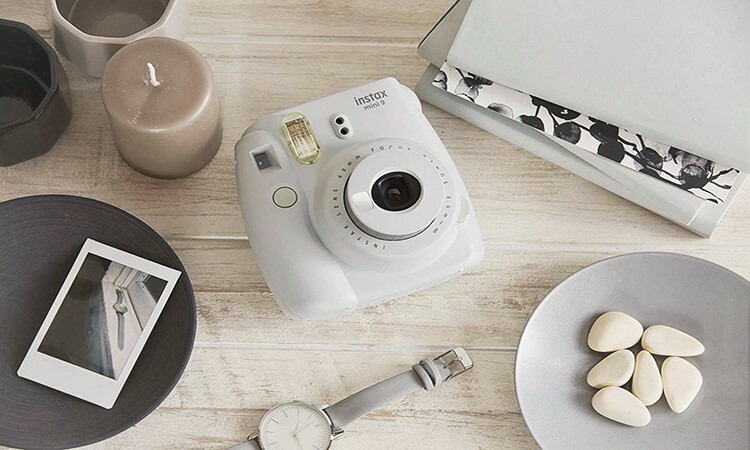 In addition, The Instax Wide 300 instant cameras possess a cutting-edge contemporize design and lots of advanced features. These include real image finder, tripod socket, and lens ring dial equipped with focus zone setting. What makes these cameras unique is they make use of the Instax Wide film. What is more, this type of film dedicated to bright, superior quality instant print. You would see that the captured prints would be twice as broad as Instax Mini Film. It is easy to add high and low-key effects to any picture with the use of light and dark control. Thus, when you wish to capture a scene in low light condition, you can use the built-in flash functionality. 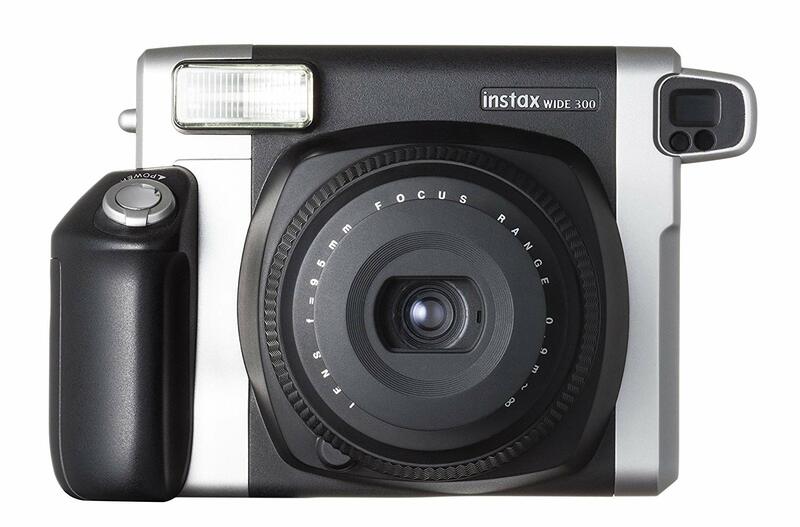 The Fujifilm Instax Wide 300 utilizes the wide format film and the picture size is 3.4″ X 4.2″. Capturing selfies is easy with the use of the close-up lens. There is the presence of an automatic flash for shooting in low light conditions. Besides, you can use a focal zoom dial. Availability of the automatic extending 95mm f14 lens found and the lens comes with two focus zones. The focus zones are 0.9 to 3m and 3m to infinity. The cameras package comes with the tripod socket and four size AA 1.5 V alkaline batteries. Those customers who tried using these FujiFilm instant cameras admired the bright and superior quality print at the output. Also, right form selfie capturing to capturing scenes in low light conditions, everything works fine. 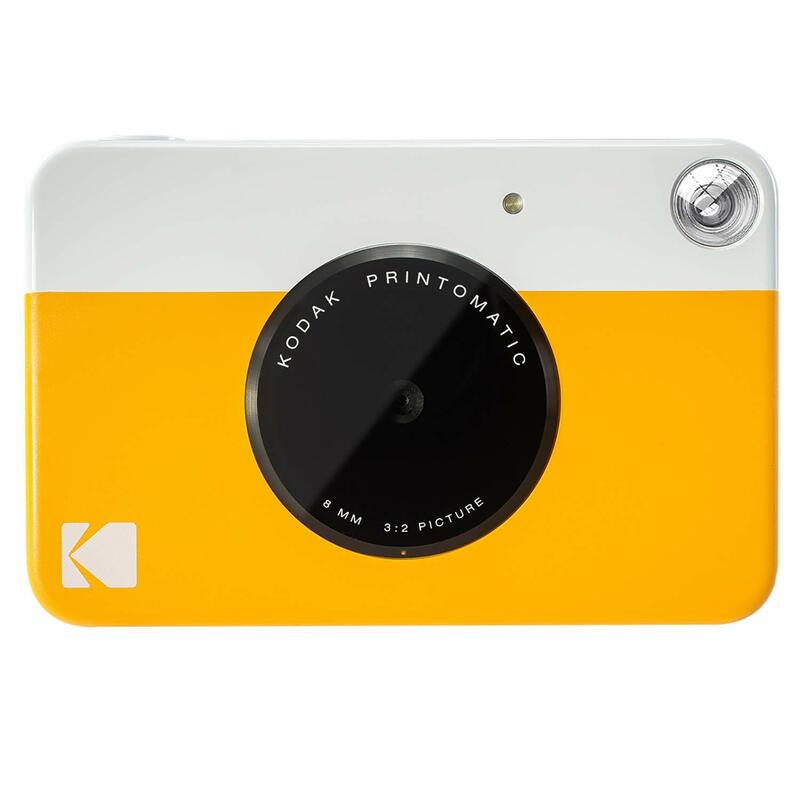 Whenever you are looking for an easy and fast way to capture elegant shots, you can consider these cameras from Kodak. Now you need do not need to use the bulky printers to take printouts of your favorite shots. Besides, the present model of camera point and shoot the speed to shoot a new photo when the printing is going on. Therefore, with the help of included light sensor, the camera would automatically turn on the flash to work well in low-light settings. These Kodak PRINTOMATIC cameras prepared in the charming design. They presented in a wide range of amusing, bold colors. Furthermore, the compact size of the structure allows you to hold well, you can easily carry around the camera in your shirt pocket for on the go shooting and printing. These point-and-shoot printomatic instant cameras provide a blend of a powerful 10mp sensor and a wide-angle f/2. Also, this combination instantly prints superior quality color or black & white photos. There is the use of Kodak zink photo paper. It removes the need for using ink cartridges, film or toners. The entire structure is durable, tear resistant, water-resistant, and smudge free. Irrespective of your location, you can get instant copies of the snaps you captured with the use of instant cameras. They are proficient at capturing high-quality images with the use of advanced functionalities. Lastly, apart from their excellent functioning, they made compact and elegant.